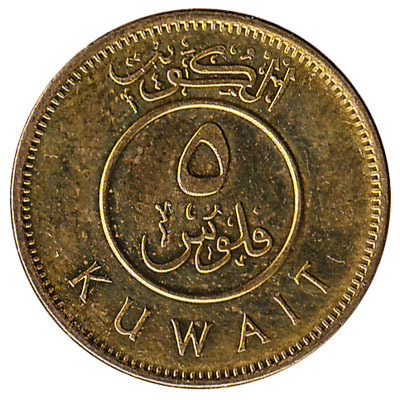 Convert your leftover Kuwaiti Dinar Fils coins to cash using our hassle-free online exchange service. Get paid fast for your unused currency from Kuwait. 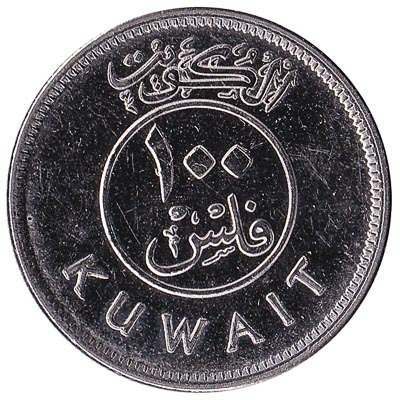 The Kuwaiti Dinar is subdivided into 1000 fils. 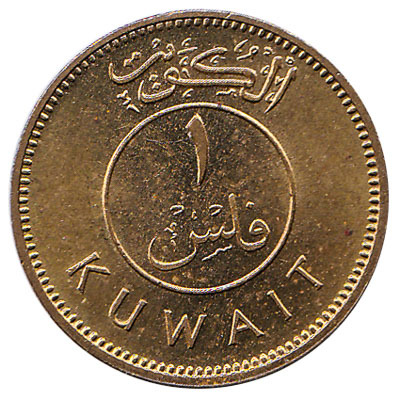 Coins in Kuwait have denominations from 100 fils to 1 fils. 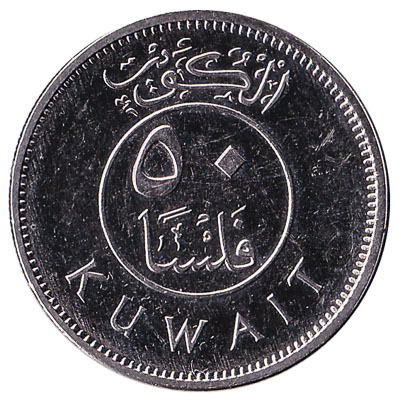 A 100 fils coin has a value equivalent to 0.1 dinar. 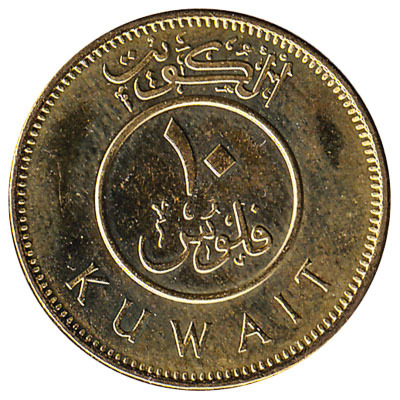 All Kuwaiti fils coins have the text ‘KUWAIT’ and the image of a traditional dhow sailing ship. 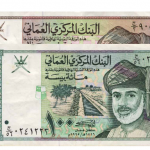 In addition to Kuwaiti coins, we also exchange Kuwaiti Dinar banknotes from the 6th Series, 5th series Kuwait dinar banknotes as well as older series Kuwaiti Dinar banknotes. Do you have Kuwaiti Dinar Fils coins like the ones in the pictures below? Add the amount you want to exchange to your Wallet. You'll see exactly how much money you'll get for your Kuwaiti Dinars. Click on the Wallet symbol to complete checkout and get paid within 5 days of receiving your currencies. 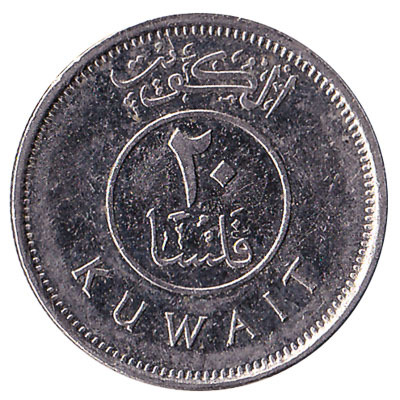 The coin of 50 fils is the equivalent of 0.05 Kuwaiti dinar. The copper clad steel coin weighs 4.51 grams and measures 23mm accross.